“Our future president will have much more competition than previous presidents because of where the modern world is heading and due to increases in polarizing opinions,” Health Fitness Revolution founder Samir Becic said. 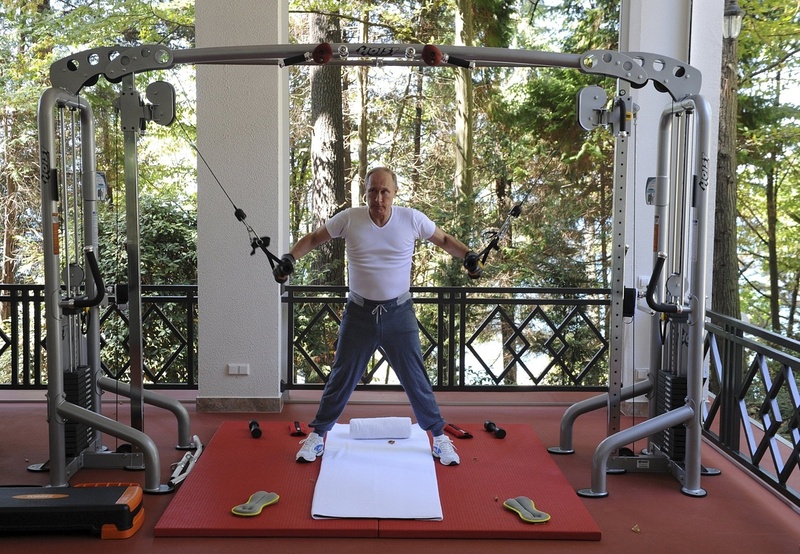 This comes to light as images from Russia’s state news agency Tass released images of Russian president Vladimir Putin and Prime Minister Dmitry Medvedev working out in Putin’s summer residence in Sochi. The two government officials are seen wearing trainers, sweatpants and a casual T-shirt as they pump iron using various machines. Later they share a meal consisting of barbecue and tea. Previous attempts of Putin bulking up his popularity include his shirtless excursion on horseback, and hunting as well as swimming in the Russian wilderness.